The Arlington Independent Media high definition production facility is equipped with a three-camera studio, a full complement of portable equipment, a mobile flypack, a state-of-the-art audio production suite, and the Premiere Pro editing system. 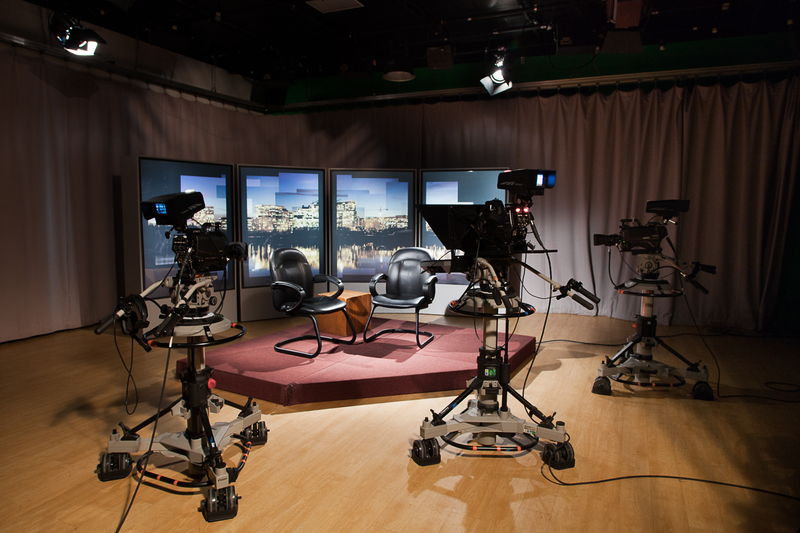 All equipment and facilities are made available to AIM members for the purpose of producing public access programming. There are nominal fees for the use of AIM equipment, and members must first become certified through our basic classes. Our professional production and training staff are on site to guide AIM members with their production needs. For businesses and organizations, AIM also offers affordable rates for commercial studio and equipment rentals. Find out more or contact us to get a quote. Productions completed at AIM through the use of our equipment and facilities will air on our channels, Comcast 69 and Verizon 38.